First up for today’s euro special is a look at Cyclopip‘s favorite yen cross – EUR/JPY! After surging to a high at 123.00, the pair has been forming lower highs but finding good support at 113.70. 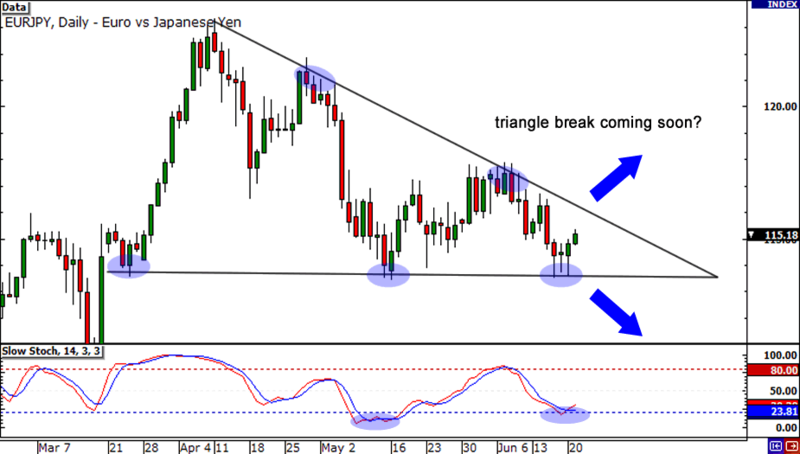 With how tight the pair has been trading as of late, it’s staring to look like we may soon see a break of the triangle! Look out for solid candle closes above the falling resistance line or below the support level as a sign that this playa is busting out! Next up, let’s hop on over to EUR/CHF! The pair has been on a steady decline, setting all-time lows while trading within a descending channel. 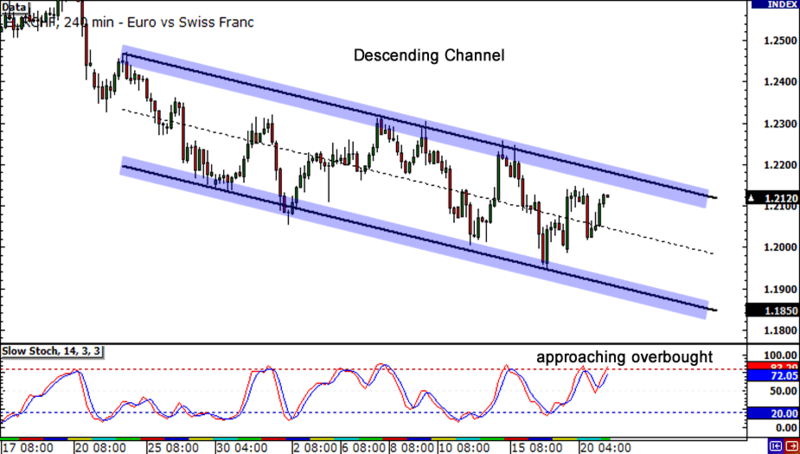 Stochastic is approaching overbought conditions and with the pair now near the top of the channel, we may soon see the pair drop. Watch out though – a candle close above the 1.2200 candle may signal that the bulls have had enough and could come roaring back! Lastly, let’s see what’s poppin’ on EUR/GBP. After sliding down the charts earlier this month, the pair has retraced a bit and is now finding strong resistnace at the .8850 level. This also happens to line up with the 50.0% Fibonacci level. 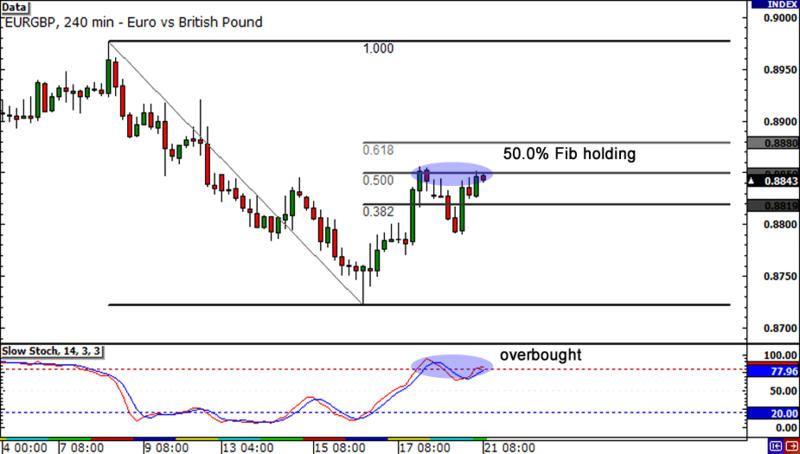 With Stochastic now crossing out of overbought territory, it may be a good time to go short. Lucky for us, Pip Diddy fills us in on what we need to know about fundamentals with his Daily Forex Fundamentals. Check him out, playas!